A Special Evening With The Movers & Shakers Who Are Defining NYC Tech. Invite Only. 2016 was the year where the NYC tech ecosystem established itself as a prime player in the global tech scene -- being second to only Silicon Valley. 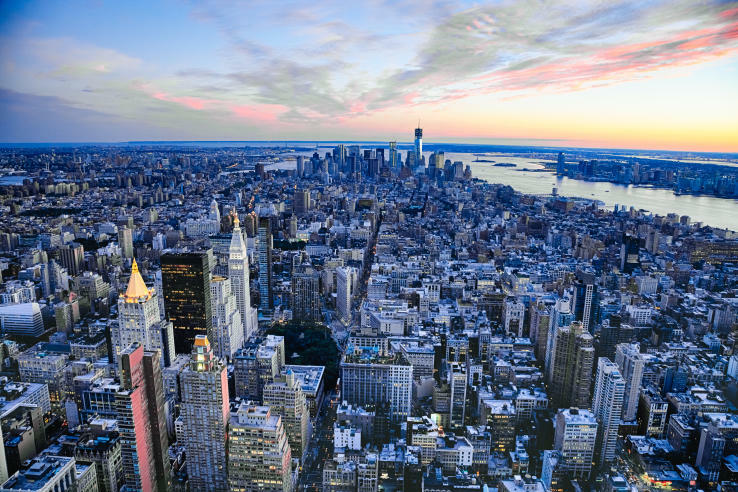 NYC tech is coming of age and we’re lucky enough to have a front row seat as this new tech powerhouse heads into maturity. Will 2017 be the year of massive exits and IPOs we've all been waiting for? Or, are we still in the building process stage of this unique tech ecosystem? Join us for a special evening bringing together the absolute BEST of NYC tech -- including Andrew Cleland (Comcast Ventures), Matt Turck (FirstMark Capital), Michael Rubinstein (AppNexus) and Ian Sigalow (Greycroft Partners). The panel will be moderated by Sara O'Brien (reporter, CNN Money). Hosted by ICONYC labs, this event is by invitation only for tech founders, investors and corporate executives. Space is limited so make sure you sign up early. As President of AppNexus and member of the Board of Directors, Michael oversees the company's Business Units and has been a chief architect of the company's growth from startup to global technology leader. AppNexus has recently filed for an IPO, expected to be at the $2 billion range. As one of NYC's top thought leaders and investors, Matt invests across a broad range of early-stage enterprise and consumer startups through FirstMark Capital. Prior to FirstMark, he was a Managing Director at Bloomberg Ventures, the investment and incubation arm of Bloomberg LP, which he helped start. Ian is a Partner and Co-Founder of Greycroft Venture Partners. Over the past ten years Ian has led numerous investments for Greycroft, including the firm’s investments in Buddy Media (acquired by Salesforce.com), Braintree (acquired by eBay), Venmo (acquired by Braintree), and Vizu (acquired by Nielsen). Lifion, by ADP is transforming the world of HR pain into useful tools and meaningful experiences for millions of people worldwide. Based in NYC, ICONYC labs is a go-to-market acceleration program customized for early-stage Israeli tech startups looking to build big companies via NYC. We provide business and funding acceleration as well as operation support to a selected group of Israeli startups with a focus on mobile, security, IoT, e-commerce, health and fitness, video and more.